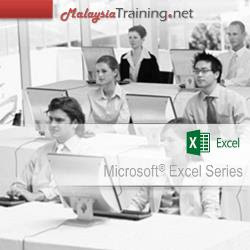 This training is for end users seeking proficiency in the use of Microsoft Excel Chart at an Advanced Level. This course explains more than the basics of Excel Charts. You will learn how to create different types of charts, select charts for different categories of data in Microsoft® Excel 2016. Deal with missing data and enhance your chart. Create interactive charts and at the end give your chart a professional look.